When you’re bored and lonely, there’s nothing better than reading a good book. 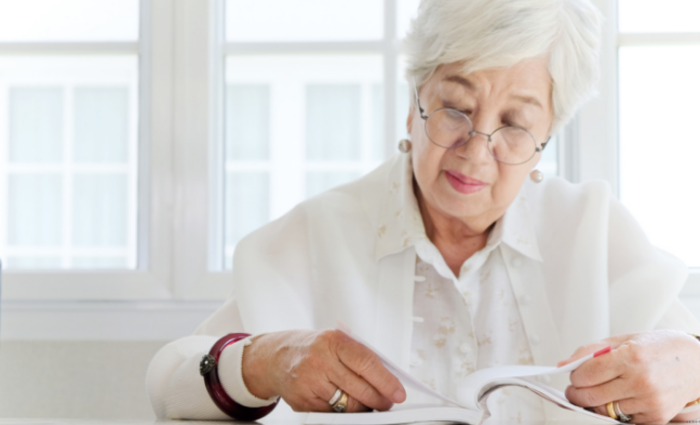 Reading is an accessible form of entertainment no matter your age. Large-print versions are almost always available; and the following books can be purchased on audiobook. Find a comfy armchair in the sun, make a cup of tea, and dive in! These reads feature characters whose journey’s reflect the passage of life. Each novel’s protagonist struggles deeply with memory, time, and the meaning of life and death. In old age, these are themes that are regularly contemplated and questioned. These authors have wonderful insights into the human condition, and may leave you with new and moving ideas about your own long journey through time. Still Alice is not an easy read by any means. The protagonist is a 50-year-old woman whose sudden diagnosis of early onset Alzheimer’s disease upends her entire life. In the onset of the novel, Alice is happily married with three grown children and a celebrated career as a Harvard professor. As time passes, she begins to notice troubling changes in her brain. To her dismay, and despite her best efforts, she’s forgetful, confused; hazy. When she receives the diagnosis of early onset Alzheimer’s disease, she’s heartbroken. 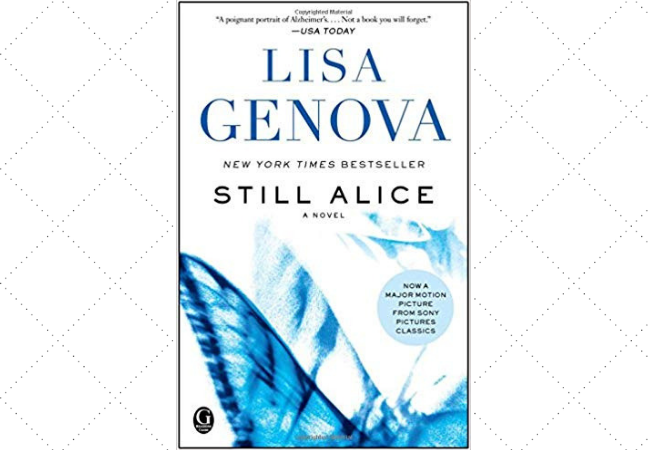 The book documents her struggles as Alice fights to remain independent and to keep a grasp on her life. Alice narrates the entire book, and her descriptions of her mental state as the disease progresses are remarkably done--terrifying, inspiring, and real. The real question becomes: what if Alice forgets how to be herself? This deeply moving novel of a woman’s deteriorating mind and how her disease affects all those around her is engulfing, saddening, and truly a powerful read. Water for Elephants is narrated by our protagonist, Jacob, a cantankerous old man unhappily housed in a nursing home. Although he finds his current situation monotonous, his life was once just the opposite. Jacob recounts the most exciting three months of his life. He relates how, shortly before graduating from Cornell with his veterinary degree, his parents are killed in a car crash, forcing him to drop out and shoving him into the world broke and alone. He jumps aboard a train that happens to house the Benzini Brothers Circus, a raucous, strange, and mysterious band of characters who welcome him into their ranks. 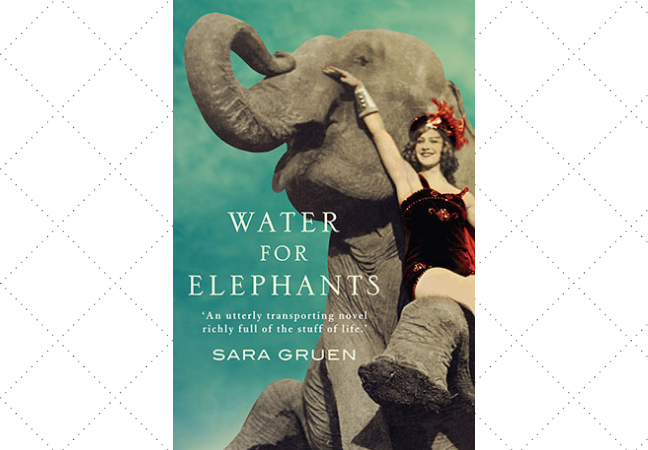 It’s 1932, the height of the Great Depression, and Jacob is put in charge of the animal menagerie as the circus travels from town to town, scraping by as they attempt to bring joy to people hardened by the times. Jacob meets a whole host of bizarre performers including the beautiful Marlena, whose husband August, the circus animal trainer, has an underlying cruelty that he struggles to disguise. A special friendship blossoms between Jacob and Rosie, an elephant who’s thought to be useless until Jacob manages to earn her trust and train her for the ring. The story is a quick-read full of visual delights, tight plotting, and interesting insights into the circus world. The time period may take you back to your own childhood, and Jacob’s retelling of the story as an old man gives his voice a distinctively poignant and wistful quality, delving into the nature of aging. Jacob’s summary of his life may inspire you to reflect on your own adventures that have led you here. The book begins as four recent graduates move to New York City to try to build their lives. There’s kind, gentle, and quiet Willem; reclusive, secretive, and damaged Jude; witty, blunt and artistic JB; and straight-laced success-driven Malcolm. The story interweaves the lives of these four boys as they grow into men, as JB struggles to make it in the art world, as Malcolm strives to become partner at his architecture firm, as Jude fights to overcome the demons of his past, and as Willem grapples with his sudden acting celebrity. The novel spans the course of many decades, as their relationships deepen and drift, as truths are revealed and secrets hidden. As the years pass, the friends realize that strange and damaged Jude is the magnetic force that keeps them together, but that perhaps his buried wounds may be impossible to heal. This book is one of the most emotional, heart-breaking, heart-filling, roller-coaster rides that you’ll ever take. I haven’t stopped thinking about it--feeling about it, since I finished it several years ago. It’s an absolutely extraordinary take on how our past continually resurfaces and defines our future. It’s remarkable in its scope, its vision, and its heart. Of all the books on this list, this one is not to be missed. But be warned, it’s not for the faint of heart. These men’s lives are difficult, frustrating, and adrift. You’ll feel like they’re with you, maybe even part of you, which makes their victories and failures mean so much more. 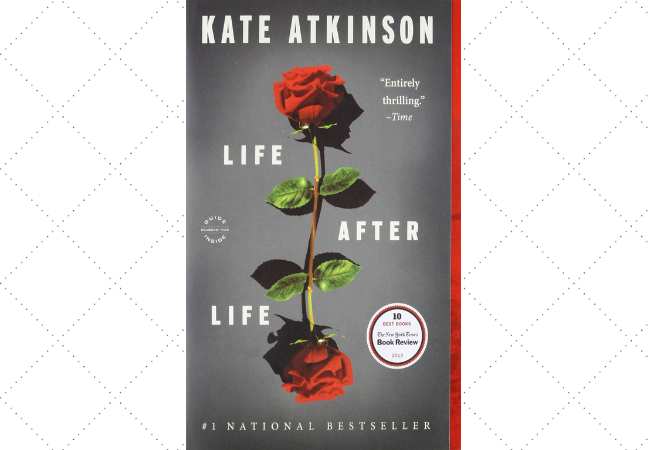 In Kate Atkinson’s novel Life After Life, we meet Ursula Todd, born on a cold and snowy night in the English countryside in 1910, only to die before she draws her first breath. But on that same night, she is born again, lets out a wail, and embarks on a life that’s far different from her peers. As Ursula lives and dies, only to be reborn again and again, she’s swept up in the shifting unrest as the second world war approaches. 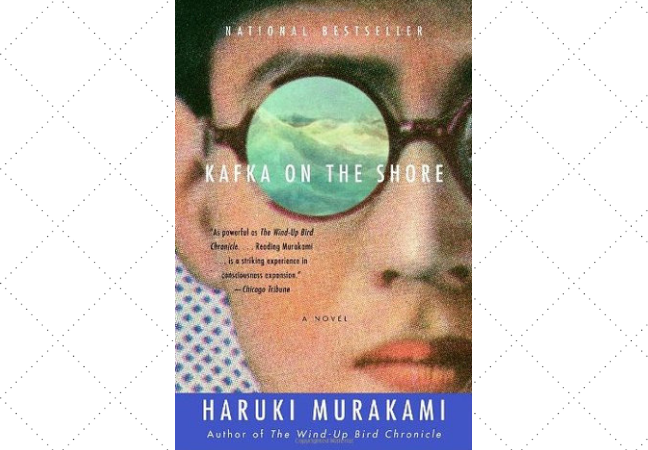 The book is a reflection on life and death, as Ursula dies in so many ways--falling from a roof, drowning, gas-inhalation, only to be born again into a string of different lives, always as herself and always surrounded by her family. The book urges you to reflect on the consequences of every decision, on the meaning and strength of family, and on the history of oneself and one’s blood line. Atkinson also hauntingly describes the war in a gripping, disturbing, and urgent fashion. She describes the violence, but also the silence as the dust settles in the debris. Atkinson’s novel has infinite sides, folding in on themself and peaking out at the corners. It’s a book about aging and asking ourselves those hard questions: “Life was’;t about becoming was it? It was about being.” and realizing that “Sometimes it was harder to change the past than it was the future.” Atkinson asks the question, “What if we had the chance to do it again and again, until we finally did get it right? Wouldn’t that be wonderful?” You’ll have to read the book for yourself to decide on the answer. 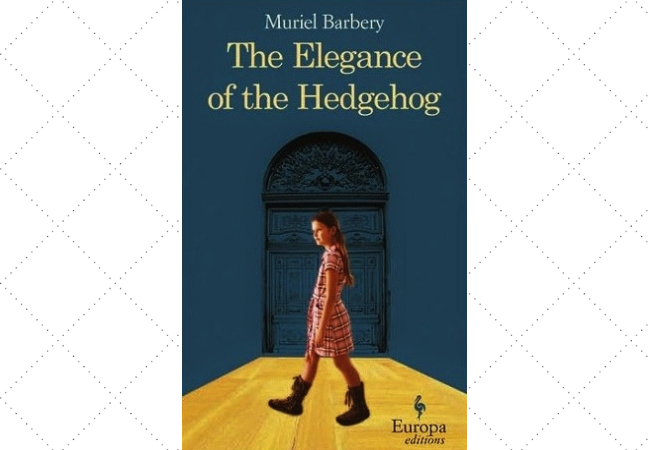 The Elegance of the Hedgehog is narrated by two voices-- the first, Renee, a 50 year old widow who’s the concierge in an upscale Parisian apartment building. She’s lonely and disparaging, believing herself ugly, unimportant, and invisible despite her hidden intelligence and aesthetic sensitivity. Paloma tells the second half of the story, a 12-year-old who lives in the building that’s under Renee’s charge. Although she’s a young girl, Paloma’s lost all hope in life, and plans to commit suicide the following year. While Renee’s chapters are written in first person and Paloma’s are written as a personal notebook, both share similar themes on the passage of time, the meaning of beauty, and the purpose of life. Both reflect upon the class dynamics in their building and appreciate the little, perfect moments that seem suspended in time. Barbery’s novel is an engaging work of accessible philosophical fiction. The mirroring attitudes and ideas of both characters spin off each other, until eventually their paths converge and a friendship blossoms. The book is more character driven than plot-driven, but Renee and Paloma are wonderfully quirky and intriguing. They’re similarities and shared experiences urge you to consider the way that the mind changes as we age, and yet also how it can come full circle. 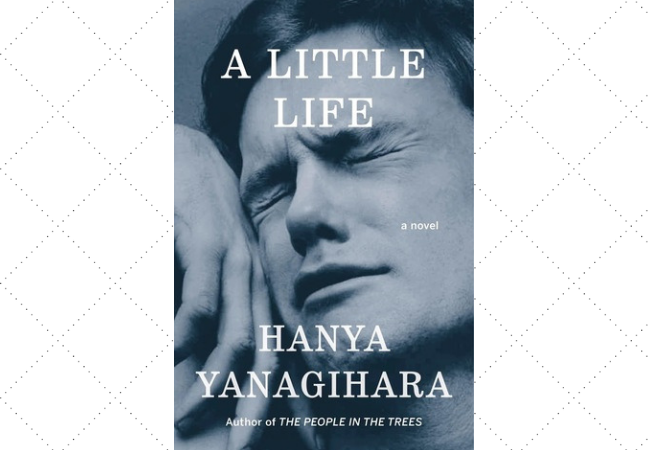 The novel is a beautiful reflection on the passage of years, and a revelation on how it’s never too early or too late to lose all hope and then find it again. A Tale for the Time Being follows the journey of sixteen-year-old Nao and her decision to document the life of her great-grandmother, a Buddhist nun who’s over 100 years old, before she commits suicide. On her way, Nao delves deeply into the meaning and passage of time. We read her voice through a diary that’s meant to be read after her death. Inside, her thoughts jump from place to place, frequently jumping far into the past and then shifting suddenly to texts sent to her grandmother. 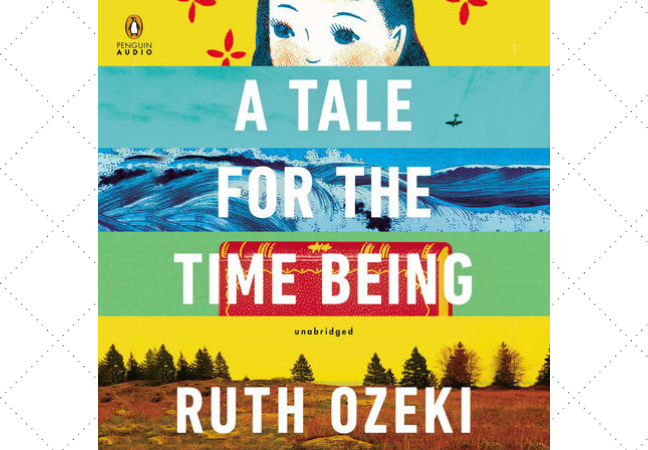 On the other side of the ocean, we meet Ruth, a novelist living on a remote island who discovers ocean debris that also pulls her deeply into the past, connecting her to Nao’s explorations. The two characters lives converge through the lines of history, evincing the force of the past on the present. As the book progresses, we learn more about the beautiful, special relationship between Nao and her great grandmother. Her great grandmother is one of the wisest character’s I’ve read in fiction, and she’s a character who will stick in your mind. Nao says of her great grandmother, “Sometimes when she told stories about the past her eyes would get teary from all the memories she had, but they weren’t tears. She wasn’t crying. They were just the memories, leaking out.” The book’s a puzzle that fits together perfectly; a book that will make you laugh, cry, and grit your teeth. 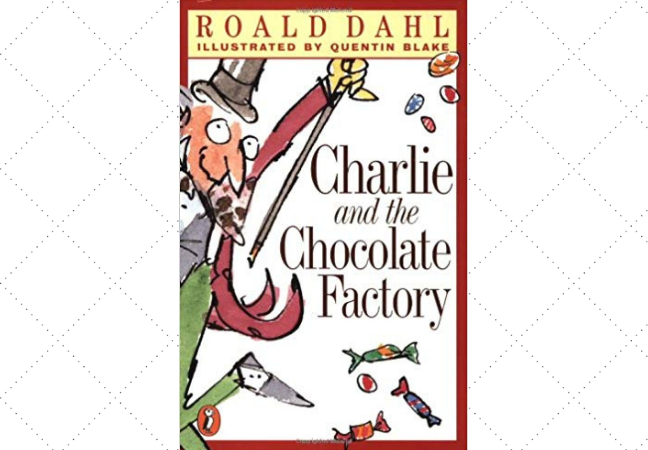 This magical children’s story stars Charlie, a young boy who, after finding a golden ticket to go to Willy Wonka’s Chocolate Factory, convinces his ninety-six and a half year old bedridden grandfather to get out of bed and accompany him on the adventure of a lifetime. Grandpa Joe is a storyteller, optimist, and occasionally a bit of a gambler, encouraging Charlie to search for the golden ticket despite his family’s impoverished state. The relationship between Grandpa Joe and Charlie is the foundation of their explorations in a magical, strange, and sometimes dangerous world of fantastical candy inventions. Grandpa Joe has the kind of relationship that all grandparents yearn for--he’s Charlie’s friend, protector, and partner. Even though it’s a children’s book, Roald Dahl’s prose is one of a kind and joyous to read, no matter your age. As a senior, allow yourself to step in Grandpa Joe’s shoes and embark on an unexpected trip to an imaginative land. Grandpa Joe proves that it’s never too late to experience wonder, and that there’s a child in all of us, no matter our age.